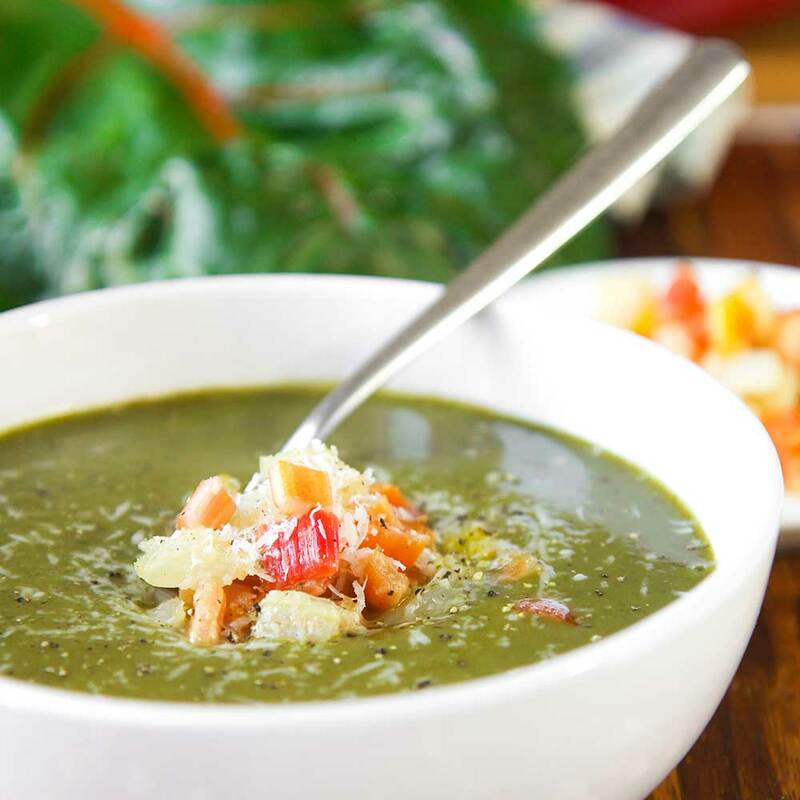 The rainbow chard cream soup a recipe that give me a lot of satisfaction. It is simple, tasty and healthy. A colorful and kid friendly way to eat the vegetables! To save time, I prepare the rainbow chard cream in advance, baking the stem dices just before serving. 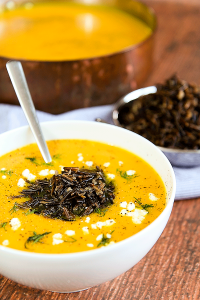 Pecorino Romano pair perfectly with this soup, but ricotta salata is great as well. First, preheat the oven on 400° F, then pour 4 tbsp of olive oil into a pot (Dutch oven is my choice) and heat over medium flame. Peel and slice coarsely the onion. Pour the onions and peeled cloves of garlic into the pot. Stir-fry onions and garlic until extremely soft. Now, ad the potatoes peeled and chopped. Cook 15 minutes, stirring frequently. Meanwhile onions and potatoes are cooking, rinse the Rainbow chard leaves. Trim the leaves and reduce them into pieces. Save the stems. Pour the leaves pieces into the pot and stir-fry 10 minutes, the add hot water, enough to just cover the vegetables. Bring the soup to gently simmer, then cover the pot with a lid and cook 30 minutes. 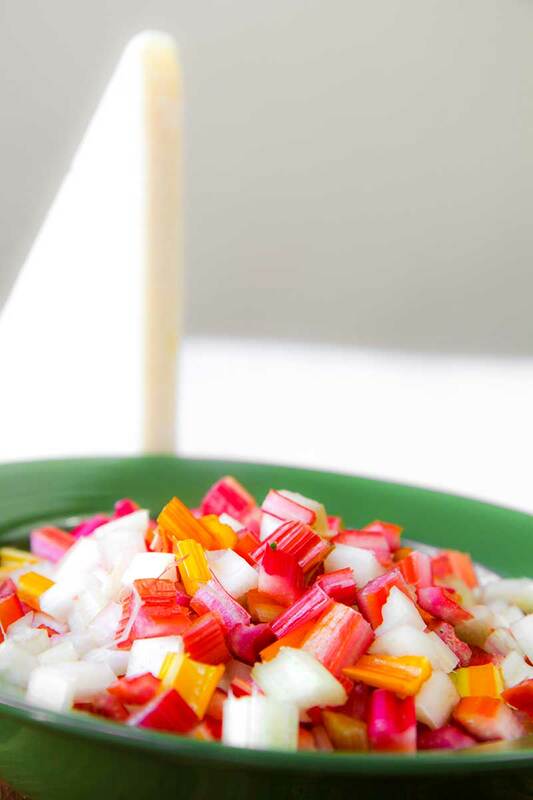 While the rainbow soup is cooking, reduce the chard stems into small dices. 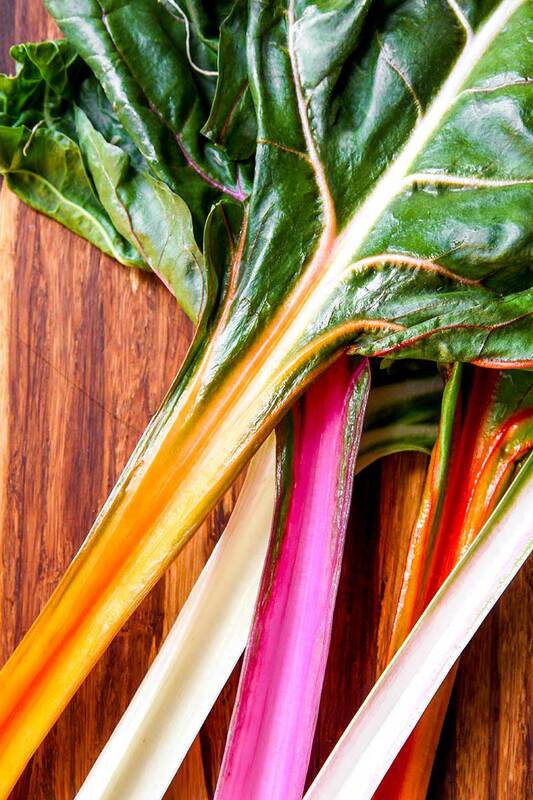 Pour a quart of water to boil, add 1 tbsp of salt and 1 tsp of white vinegar, and boil the chard stems 5 minute. Drain and place the dices over a dripping pan covered with a sheet of parchment paper. 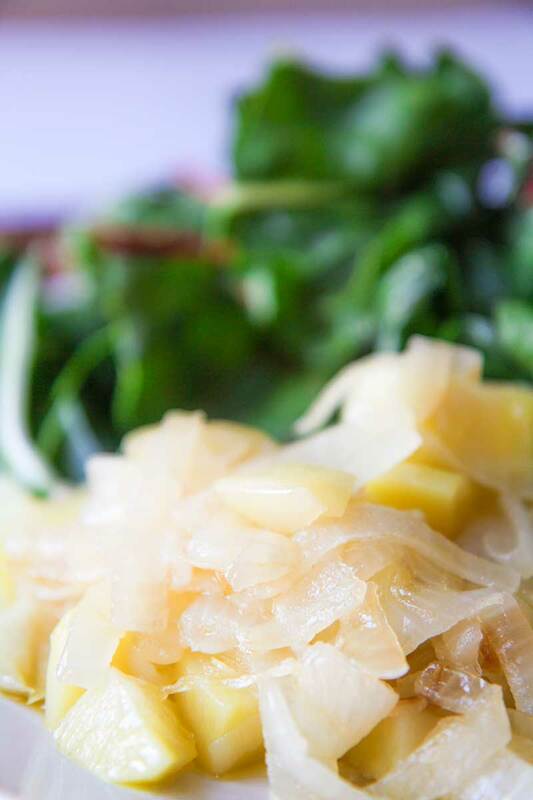 Season the chard dices with 1 tbsp of olive oil and bake 10 minutes at 400° F, then broil until golden. When the soup is cooked, blend and sift with a metal strainer sieve, then add salt as needed. 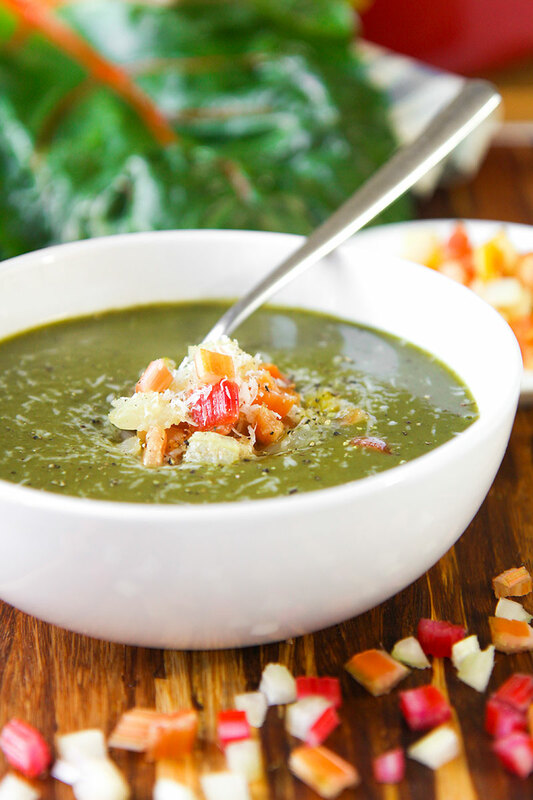 Serve the rainbow chard cream soup with stems dices and a sprinkle of Pecorino Romano.